The National Disability Insurance Scheme is a game changer, but the challenge is to make it work across people’s life course, from education and housing, to social participation and employmen. 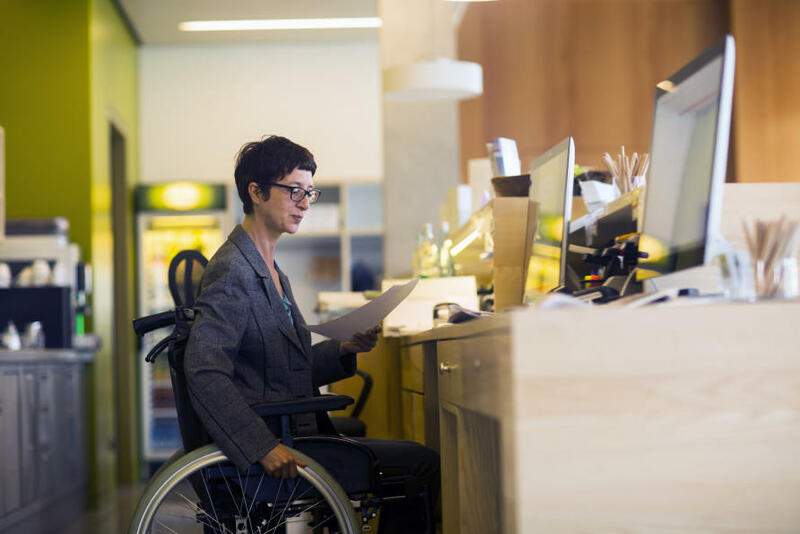 As a researcher specialising in the health of people with disabilities, Anne Kavanagh is better versed than most in the ins and outs of Australia’s National Disability Insurance Scheme (NDIS). But even she finds the reviews of her autistic son’s care plan stressful. “He just loves watching baristas, and would be so much happier in a training program learning how to make coffee than spending time in the classroom,” she says. “For me, the big issue as a parent is the low expectations that people have of children with disabilities and it’s a real lost opportunity. That focus on what you can’t do rather than on what you can do is a real downer. But despite these experiences, Professor Kavanagh is optimistic about the potential to improve disability support and inclusion in Australia; something the new interdisciplinary Melbourne Disability Institute at the University of Melbourne aims to do. The Institute is headed up by Professor Kavanagh and former National Disability Insurance Agency Chair, Professor Bruce Bonyhady. “We are at an extraordinary time of change in the disability sector in Australia,” says Professor Bonyhady. “It is partly brought about by the NDIS, partly by the fact Australia is now a signatory to the UN Convention on the Rights of Persons with Disabilities, and also because we’ve got a comprehensive National Disability Strategy in place now. The Institute, which brings together researchers from across the University to work with partners in the disability sector, government and other research institutes, will have several areas of focus. “We already know what many of the big issues are for people with disability,” says Professor Kavanagh. “They are more likely to be in inadequate housing, our employment rates for people are particularly low in Australia, and we need to think differently about how our education system caters for kids with disabilities. For both Professors Kavanagh and Bonyhady, the starting point for the Institute is data – in particular linking existing databases to provide more insight into how people with disability are faring. “In the pre-NDIS world the data we had on disability was patchy, but now, thanks to the NDIS, Australia is building the best population-based longitudinal disability database in the world, and it is growing day by day,” says Professor Bonyhady. In particular, researchers see value in integrating NDIS data with data from other sources like the Australian Bureau of Statistics, the Department of Social Services and from outside government, including unique data sets which are held at the University of Melbourne. “This offers great potential to answer some thorny public policy questions,” says Professor Kavanagh. For Professor Bonyhady, the opportunity to operate in an academic environment and to be able to build new partnerships to address major systemic and strategic issues is particularly exciting. “Our overwhelming priority while I was Chair of the NDIA, was to bring 460,000 people into the NDIS as quickly as possible on a very ambitious timetable and in an environment where the agency didn’t have enough staff. As a result, there was simply not enough time to deeply examine a whole series of major issues, like housing policy or links with education. “To now be able to operate strategically on those key issues, like supporting people not in the NDIS to make it equitable for them and ensuring that services like health and education are as inclusive and accessible as possible, are really important issues. “It’s exciting to be working with academics who have interests in these areas. Our goal is that we make the maximum positive difference to the lives of people with disability, their families and carers – and we’ve got the resources and the ability to leverage them. The Melbourne Disability Institute aims to improve the lives of people with disabilities through interdisciplinary research, education, policy development and public engagement. It launched on May 28. Keep up to date by following Professor Kavanagh on Twitter @AKavanagh_melb.